USE : GENERAL DEBILITY, IRON & CALCIUM, DEFICIENCY LOSS OF APELTITE. DOSAGE : 1 TO 2 POUCHES PER DAY AFTER MEALS.. Body Grow is a product for Powerful Muscles with a unique combination of protein, Carbohydrates, Vitamins, Fat and Creatine. With immense capability in this business range, we are involved in the area of providing to our clients a top class collection of Body Grow Malt. Prescribed to gymnast, this Body Grow powder is best to increase the strength of muscle and size of your body. Being a leader in the industry, we are engaged in offering a qualitative range of Body Grow Protein Powder to our clients. We are prominent manufacturer of health care products; Body Grow Dabbi is one of them. Our product contains important minerals for our body are iron, calcium, zinc, protein and vitamins. This product help to improve our appetite and also help us to fight against diseases keep our body fit. We use fresh Green leafy vegetables, yellow vegetables and fresh fruits to make additive as vitamins. 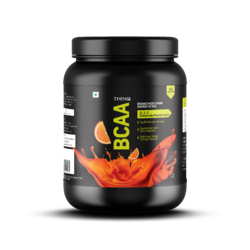 400gm Weight gainer Ayurvedic Products. Gdyns Health Care Pvt. Ltd.
We offer herbal supplements which help to increase the growth of the body. G & G Body Grow 300gm. 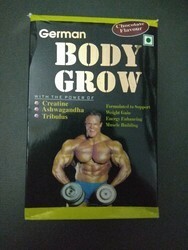 G & G Body Grow Powder 1kg.